With the first week of Wimbledon in the books, there’s a lot to look forward to in the second half of Britain’s most famous fortnight. Upsets were the story of the opening rounds with both Nadal and Federer losing in the first and second round respectively. I’ve gotten so accustomed to watching them battle it out in finals that something feels amiss with their early exits. They’ve spoiled me and tennis fans in general and their absences for the remainder of Wimbledon have helped me appreciate their sustained greatness. It’s amazing what they’ve accomplished and this year is a much needed reminder that it’s not easy to reach the semis or finals of every single tournament. With 2 of the big guns out on the men’s side, the stars have aligned for a Murray/DJokovic final. The history of Wimbledon always makes it a compelling tournament and with each passing year, you can feel the home crowd pining for a Brit to win more and more. The pressure on Murray continues to mount with each point played and the elimination of two of his biggest threats only intensifies that burden to make history. No male British player has won his home tournament on the men’s side since Fred Perry in 1936. Murray is the savior and although that’s a heavy load to carry, I think he’s up to the task. Watching Murray’s matches is infectious. It’s impossible not to get behind him and cheer just as loud as the British crowd when he hits a winner. He’s been playing fantastic tennis this year and he’s been getting better as matches go on. He used to have problems closing out matches but now he appears more dominant when he can sense the end is near. The pressure is also intensifying for Murray based on his recent successes at the All England Club. Andy reached the Wimbledon final last year, becoming the first Brit to do so in 74 years, but lost to Federer. He provided some more excitement and built confidence by beating Federer at the Olympics, which took place right at Wimbledon Centre Court. But he needs to win at Wimbledon during Wimbledon. This could be his year and I’m pulling for him like never before. The women’s side also has a sizable drought for British players. No female Brit has won at Wimbledon since Virginia Wade in 1977. Not quite the length of the drought on the men’s side but still sizable nonetheless. This year, the women’s side has their savior as well – 19 year old Laura Robson who has proven she can beat big names. She recently defeated Venus Williams and she’s the top ranked female player in the United Kingdom. Robson also won the girls junior championship at Wimbledon so she’s had some success at her home tournament – even if it was just a junior event. 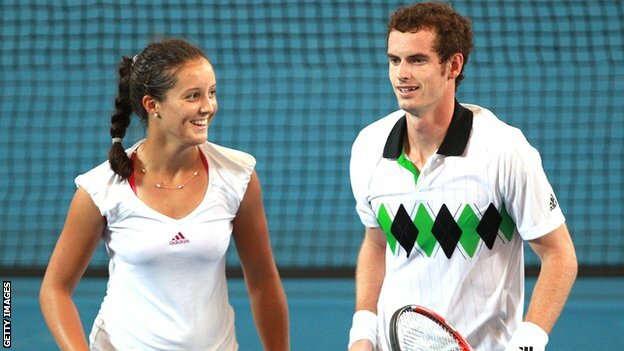 Murray and Robson have both advanced to the quarters at Wimbledon this year and both have the entire nation behind them. The stakes and history give their matches an energy that is hard to find anywhere else in the draw. It could be a historic year with these two Brits poised for deep runs and the final week will be must-watch television. I’ll be pulling for Murray and Robson like I was born in England. I’ve been listening to a lot Eagles recently since watching their captivating 3-hour documentary and one song that I just can’t get enough of is “I Can’t Tell you Why.” The Eagles have so many great songs but this one (the first to feature Timothy B. Schmidt on lead vocals) is so smooth. Almost too smooth. The laid back rhythm mixed with Schmidt’s falsetto delivery is fantastic. Then the guitar solos, starting with the tease in the middle and ending with the extended version, always leave me craving more. By the time the guitar solo fades out at the end, I’m so relaxed that I might as well be on a beach in Hawaii. A great song (which is 34 years old by the way) and I hope they play it when I see them at Madison Square Garden in November. 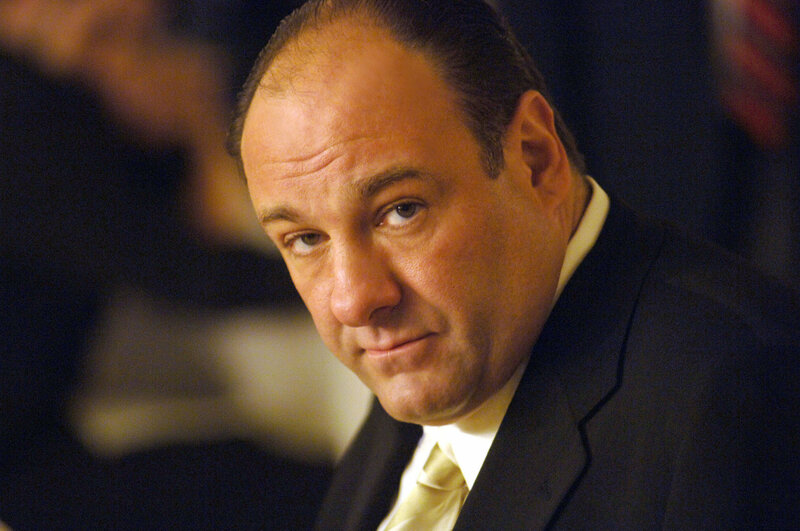 I am deeply saddened by the sudden passing of James Gandolfini. He died way too young (at age 51) and if the recent outpouring of condolences, love and sharing of memories is any indication, he will be remembered for a long time. In my opinion, Tony Soprano is the greatest character on the greatest drama in television history. Creator David Chase and the loads of amazing supporting cast members deserve all the recognition that they receive, but the show would have been nothing without James Gandolfini. His brilliant performance rewrote the rules and changed television forever. Tony was not a good person, but Gandolfini’s portrayal made us root for the bad guy. Despite all of the terrible stuff his character did, he was somehow relatable and made us empathize with a sociopath. James helped make cable the premiere destination for great storytelling and he paved the way for every anti-hero that currently captivates TV. The Sopranos was one of the best written shows in television history but the acting – led by Gandolfini – lived up to the superb scripts. The fact that so many people are taking his death so hard is a tribute to how he had mastered his craft. Tony was our friend who we knew so well and I feel a sense of loss despite never having met him in my life. That’s quite a tribute from a very smart man who knew him very well. I’m eager to re-watch The Sopranos and I’m also excited to check out some of the movies where Gandolfini played supporting roles. We lost an icon yesterday. Gandolfini, who by all accounts was also a warm, loving and kind person, was a tremendous actor who will be deeply missed. His family and friends can take solace in the fact the James will live on through his work for years and years to come. Today is a great day to be a Mets fan… and there haven’t been many so far this season (see previous post). The future of the franchise will be on display in Atlanta as Matt Harvey and Zack Wheeler will both take the mound in a doubleheader. Wheeler will be making his MLB debut in the nightcap while Harvey tries to continue his strong start in the afternoon. A lot of Mets fans will be watching, hoping a glimmer of hope for the future. The Mets currently have 2 of the 10 best prospects in baseball (Wheeler is one; D’Arnaud is the other). The focus is solely on the future and making sure that we will have a contending team sometime in the next 2 seasons. 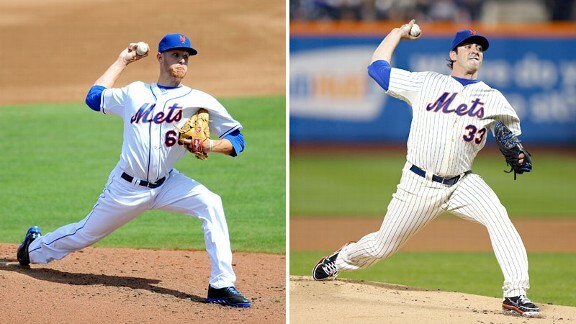 Both Harvey and Wheeler are expected to be centerpieces of those contending teams (along with Wright and D’Arnaud). Getting to see both prospective aces pitch on the same day is promising and very exciting. Last night, the Mets lost a tough one as Dillon Gee gave up a 2-run walk-off HR in the 9th (after an almost 4-hour rain delay). Gee was going for his first career complete game and I have no problem with Terry leaving him in – but sometimes you pitch 8 amazing innings, make one bad pitch in the 9th and lose the game. It didn’t help that the Mets only scored one run but Tim Hudson matched Gee pitch for pitch for most of the game. Gee has pitched well recently and I’ll take 8 shutout innings from him anyday. Also, the day before the Mets won a game that they had no business winning, scoring 4 runs in the 9th. It all evens out. Wins and losses are the least of my worries at this point for the Mets. 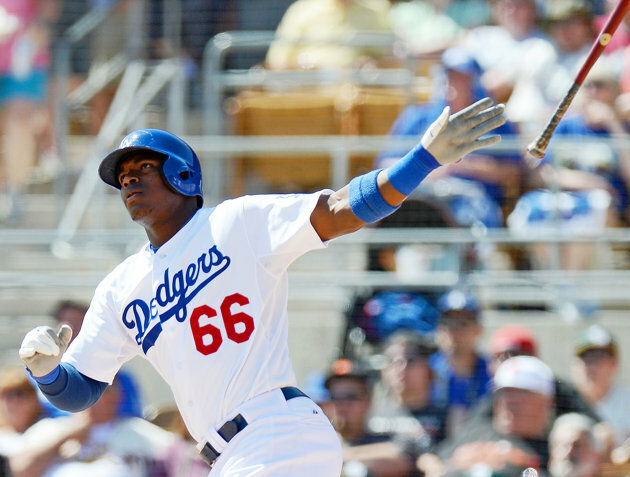 It’s all about the future and that’s why Tuesday’s doubleheader is so important. We know what Harvey is capable of and we’ve been told we have another Harvey coming up in Wheeler. Hopefully he delivers – can’t wait to watch. This is what makes Late Night with Jimmy Fallon far and away the best late night show on TV right now. He’s managed to blend the old and tired late night staples like the monologue and static couch interview with clever segments that are designed to go viral. Jimmy probably never envisioned his career would involve ushering in a new, younger generation of late night television but he is succeeding. Conan probably thought that was going to be his role, but Fallon has usurped it from Conan and now Jimmy is on his way to another place Conan thought he would end up – The Tonight Show. As long as Fallon keeps the unique and hilarious sketches/segments coming, his audience is only going to continue to grow.